Larger scale digitization projects by virtue changes the way people engage with the objects. 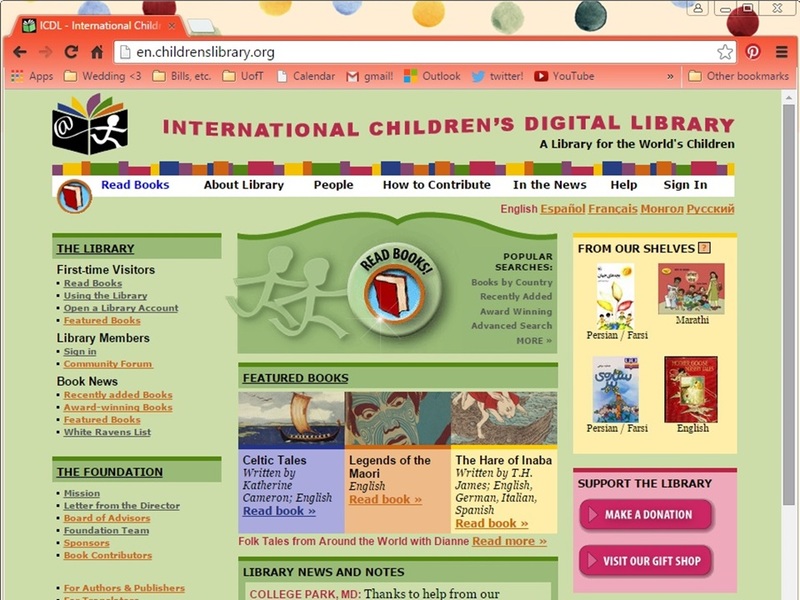 One example is the International Children’s Digital Library. The ICDL is the result of internationally-motivated research out of the Human-Computer Interaction Laboratory at the University of Maryland. The ICDL is very socially-oriented, their aspiration being to “have every culture and language represented so that every child can know and appreciate the riches of children’s literature from the world community” (Mission). There are several aspects of this library that differentiate it from other digitized collections. One of these is the kid-friendly interface. 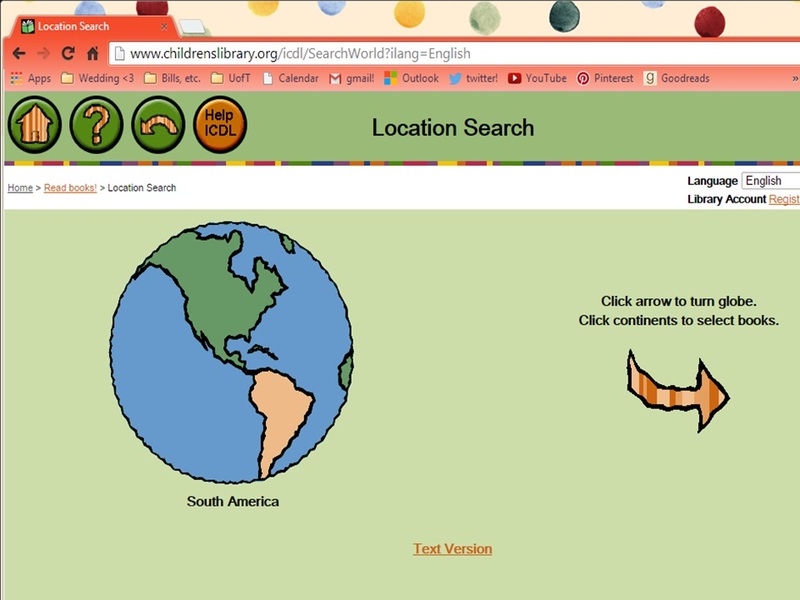 Besides searching by keywords and advanced search, the ICDL uses the “Simple Search” tool to allow kids to browse books. Just as a physical library, they can look at the whole selection and flip through the pages until something catches their eye. 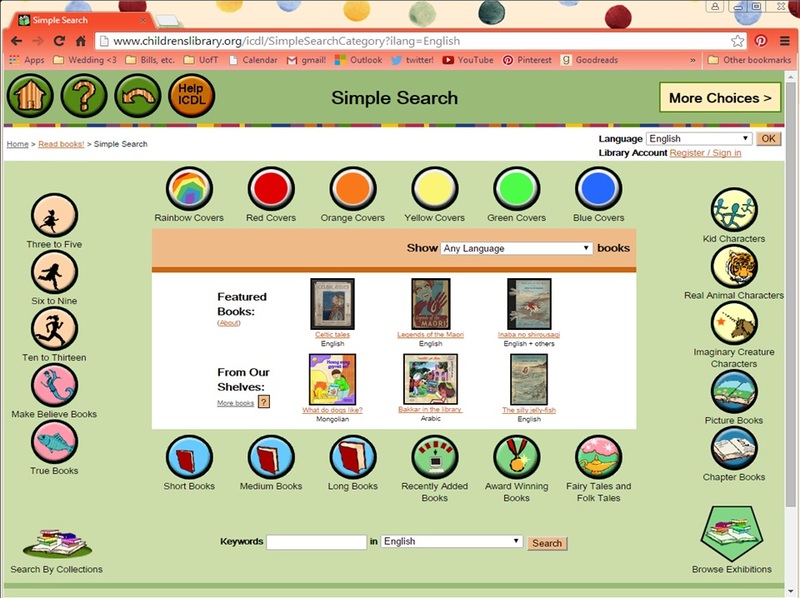 However, the ICDL allows kids to combine unique characteristics (such as cover colour and type of character) in order to construct unique searches that would be difficult to replicate in a physical library. 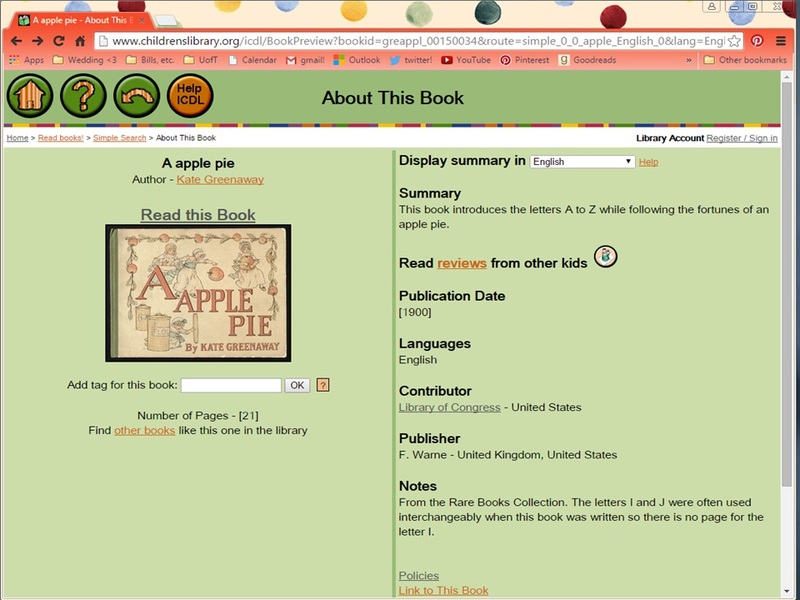 Once you select a book, the corresponding catalogue page opens. There is usually quite a bit of metadata and sometimes interesting notes. There is even a link to WorldCat. One of the interesting things about the digitized versions of these books is that they allow for reviews. This gives kids an opportunity to share their reactions and “leave a mark” on the book. One consequence of their interface design is that all of the pages open in a spreadsheet and you can start the book from any page (and choose between a single page or spread view). The ability to skip to a specific part of the story makes it a lot easier to engage with the texts in a non-linear fashion, which is interesting. Of course, the selection of books is quite outdated for the most part, since most are in the public domain. 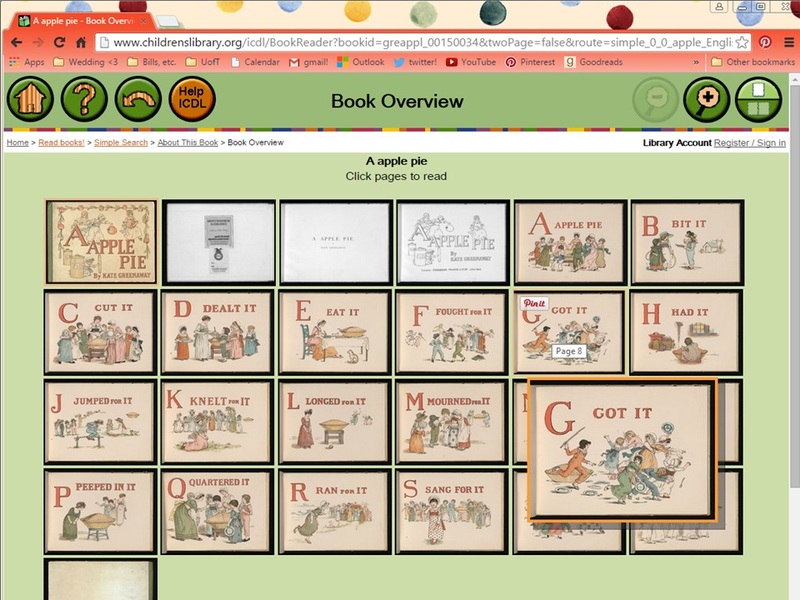 The interface that allows for interaction with the digitized objects, however, shows the possibilities for creative forms of interaction with texts through the “Simple Search” function and the (perhaps less intentional) book overview page in the image above.